Happy #FitFriday! And more importantly, Happy Veterans Day! This week I am sharing a quick but fierce ab burning workout! I believe a strong core really is the foundation to anything fitness related. It helps with balance in yoga, it can eliminate back pain, and it helps you keep proper form when working out any muscle group! This quick and easy ab workout can be done from home or the gym! Try the circuit 3-5 times through, taking 30-60 seconds rest between each round, and let me know how you like it! Check out the video and the explanations of how to properly perform the moves below! For these, I recommend taking it slow and steady! I like holding each side for about 2 seconds before kicking back out to the other side. Start out in hollow body hold with your hands clasped behind your neck. Then reach your right knee to your left elbow, be sure to not strain your neck by pulling with your hands. You should be using your abs to move. The lower your legs are to the ground, the greater the challenge. If you cannot do 40 in a row with your legs low to the ground, you can start by having them high up and then over time lower them down. it’s important to consciously squeeze your lower back into the ground. You should not be able to slide your hand under your back so if there’s space, make sure to always squeeze those abs! You should take these nice and slow and keep your knee at a 90 degree angle. You should feel it in your abs! 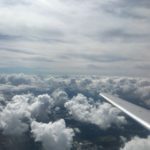 Again, for these start out in hollow body hold and then tuck up, when you release the tuck, try to keep your shoulders and feet off the ground. In the video I show two variations with weights. The first one is a tad easier, as you keep your arms bent and by your stomach. The second variation involves more arm strength, as you keep your arms by your ears. Feel free to either use weights or don’t – whichever is your preference! These are similar to tuck ups, but this time we keep our legs straight! We also keep our hands by our ears. This is one of my favorite ab exercises because it works your legs too. The goal here is to try and meet your hands and feet together, touching your toes. If you cannot sit all the way up, try your best to keep your legs straight and to touch your knees/shins! 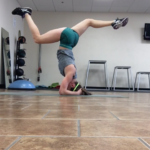 #FitFriday – How To Headstand! 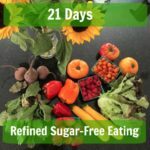 21 Days Refined Sugar Free Eating! Welcome to Discovering Good Health! great workout! Abs are my least favorite, I will confess! Looks awesome. Definitely going to try it. Great workout and I love your video!!! I owe my abs a workout. Thanks for the reminder! Great abs workout! I hate doing abs, but I like V ups, so worth a shot! Abs are my least favorite! Looks like a tough and effective workout. Looks like a great way to ensure that those abs are nice and sore afterwards. Great workout!! I need to get better about motivating myself to work my abs, any tips? Hi Janice! I love ab workouts because I can do them from home so when I’m short on time, I don’t have to worry about getting to the gym! Ab workouts are something that can easily be done while watching TV even! 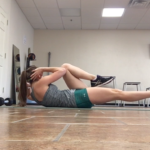 On days that I’m busy, I like to put quick circuits together like the one shared here to activate the abs even if it’s for a short 10-15 minutes! This isn’t great, I don’t work my abs enough but def need more core strength! You just motivated me to go to the gym!